"Those two waves together have made it a long season and a moderately severe season," said Lynnette Brammer, leader of the domestic influenza surveillance team for the U.S. Centers for Disease Control and Prevention. "It's unusual to have two waves of influenza A and to have both of them be as strong," she said. "Usually you have one big wave and then a smaller one, but these were pretty equal." More than 67 million americans suffer from allergy symptoms, including hay fever. But, what is an allergy? What is an allergic reaction? What are common allergy symptoms? What allergy treatments are available? Pollen is one of the most common allergens in the United States. Pollen is an airborne allergen, which is picked up and carried by the wind. 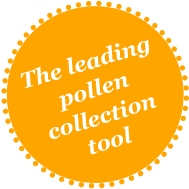 Various trees, grasses and weeds create pollen, which can cause hay fever, irritate your eyes and skin.